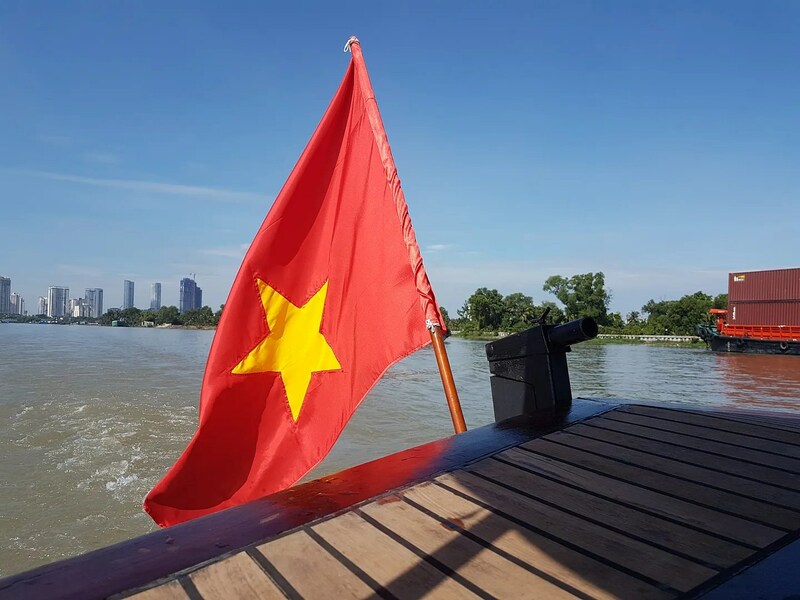 Saigon River Morning Cruise | Hello Saigon! Last Sunday, we celebrated the 1st day of our 9th year here in Saigon. What started out as a 3-year assignment became much more than we ever dreamed of. 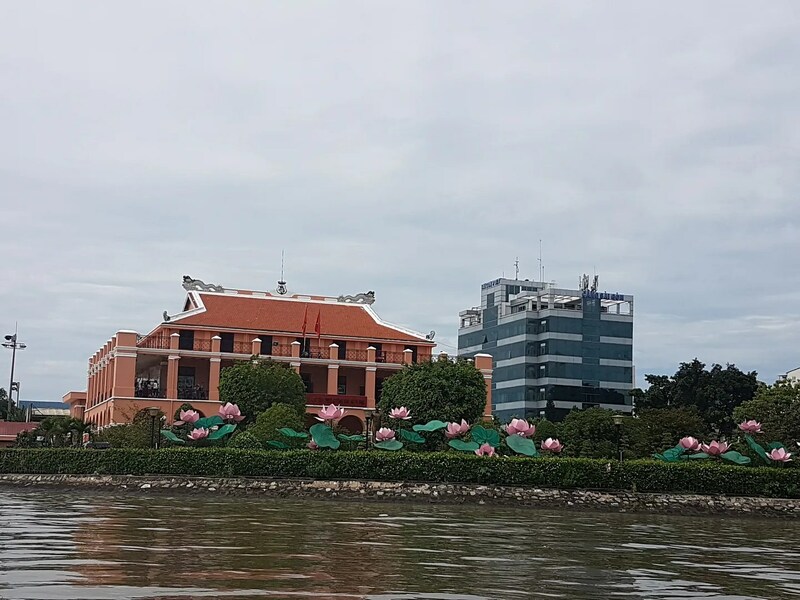 So bright and early on Sunday, we headed to Tan Cang Restaurant in Binh Thanh District which is the starting point of most boat tours here in Saigon. 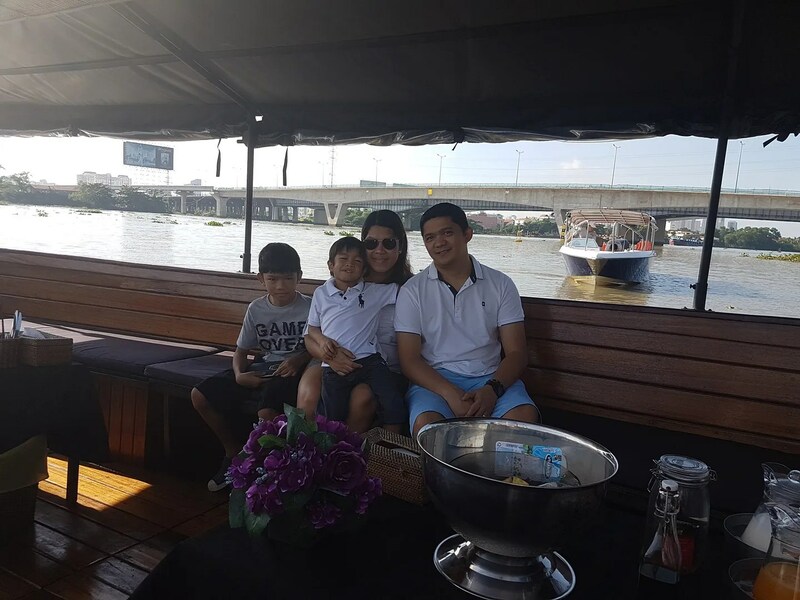 The Saigon Boat Company was taking our family for a Breakfast Cruise. 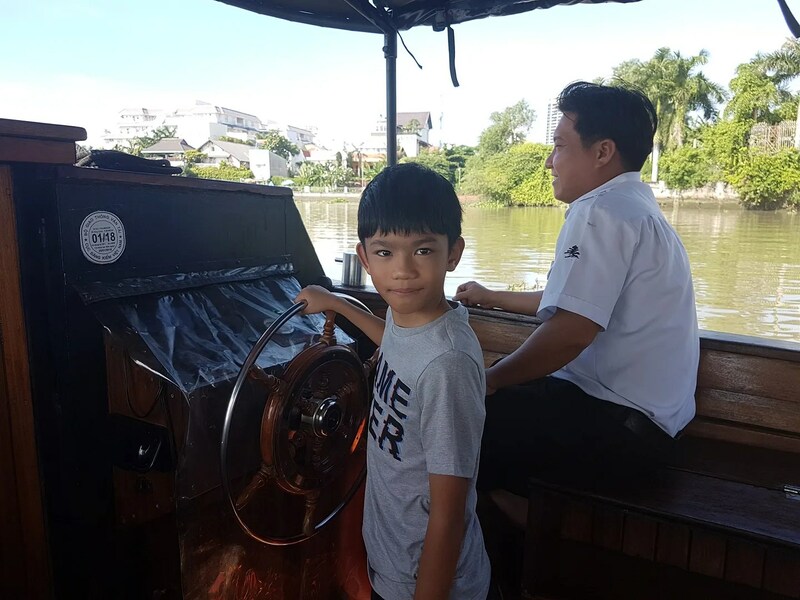 In our 8 years in Saigon, we haven’t done the river cruise. It was something that we’ve been meaning to do for the longest time and so finally, we did. 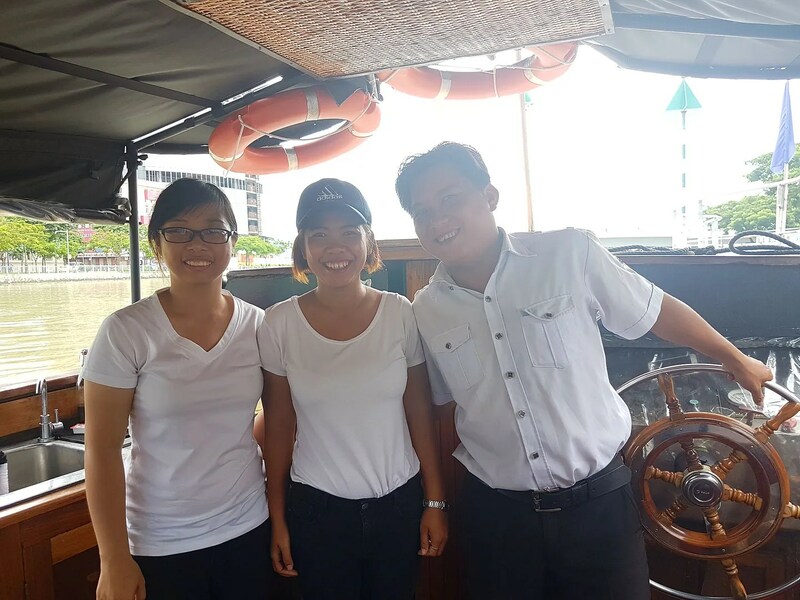 At 8 am, the boat arrived on the docks, with our crew, Ngan, Mia, and Captain Bau. Am one of those people who gets a bit seasick — especially on small boats, so I’ve been stressing over whether going boating was such a good idea. See me smile? Yup, that smile stayed on for the rest of our trip. 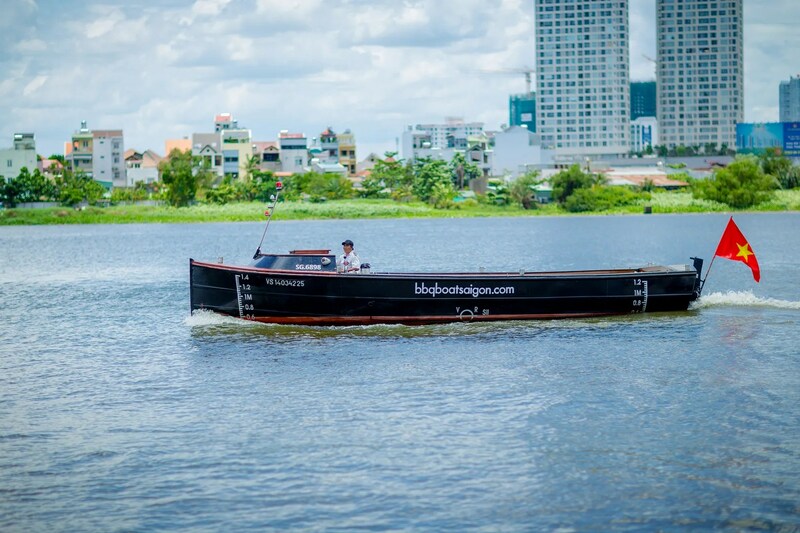 The boat that Saigon Boat Company uses is well-maintained, stable, and of course equipped with life vests. 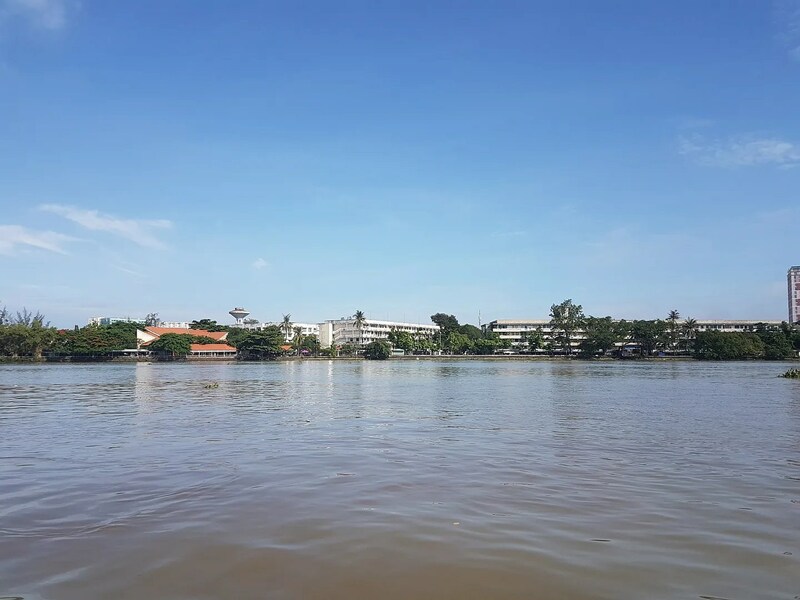 The Saigon River is calm and can be easily navigated. The tour sailed smoothly except for that one time when a speed boat passed by and made big waves. 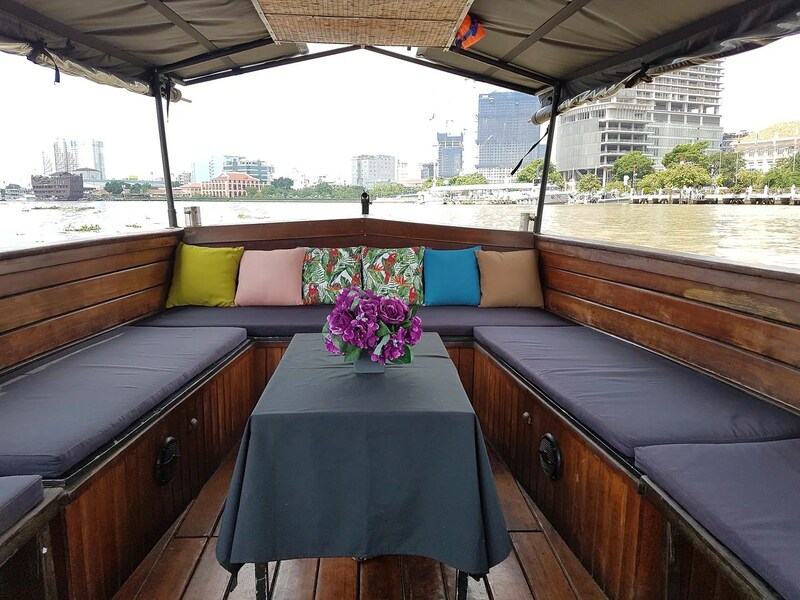 The boat is spacious and can hold up to 27 people. We could actually lie down and get some shut eye if we wanted to because it’s that big. It’s also equipped with a toilet if you’re curious. 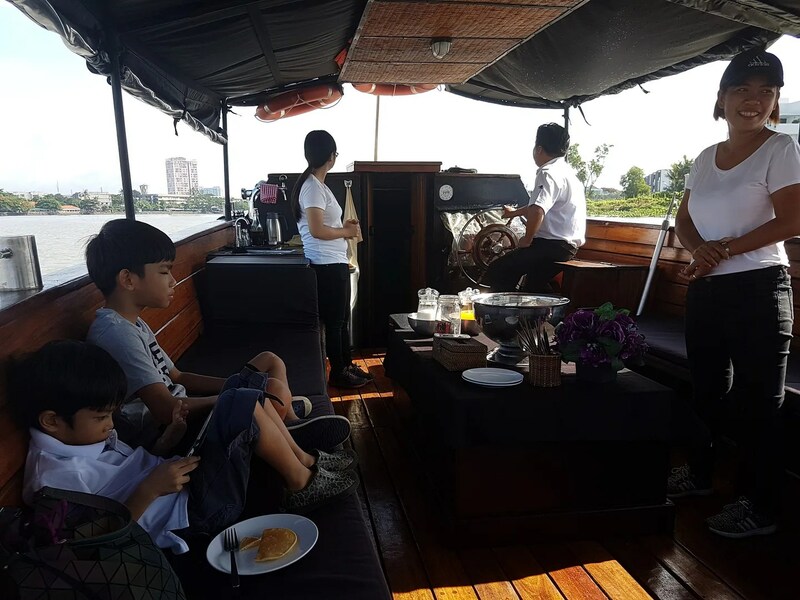 My boys felt right at home on the boat and can I rave about the breakfast? 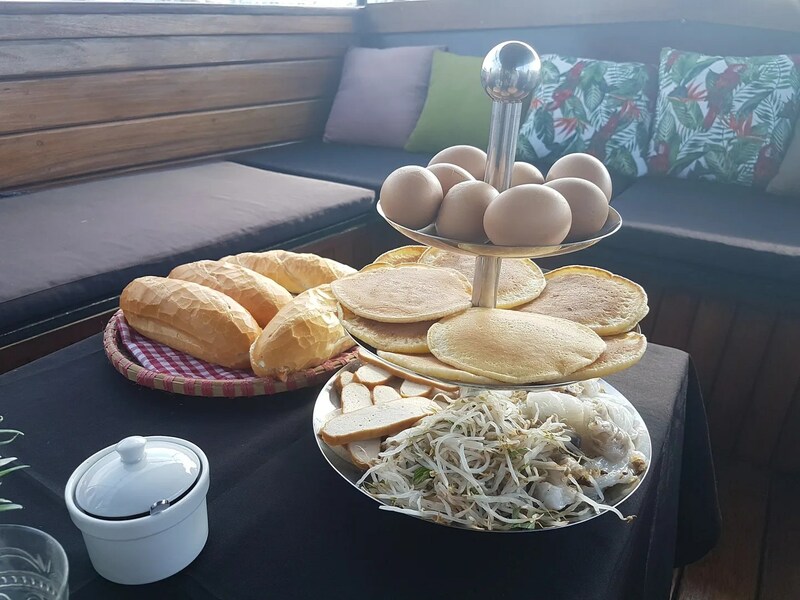 I loved the breakfast spread of boiled eggs, pancakes, banh mi, banh cuon, yogurt, and fresh fruits. We were also served fresh orange juice and milk. My eldest kept coming back for the milk and I kept coming back for the fresh orange juice. I was worried that my 5 year old wouldn’t have anything to eat on board. But after seeing the pancakes, I knew we’d have no problem on this trip. My eldest loves eggs as well so he was happy. The banh mi served is one of the best tasting banh mis I’ve ever tasted so far in Saigon and the banh cuon? That’s one of my favorites! Seeing the food photos make me wish that we’re back onboard. I wish I could have stuffed myself more! 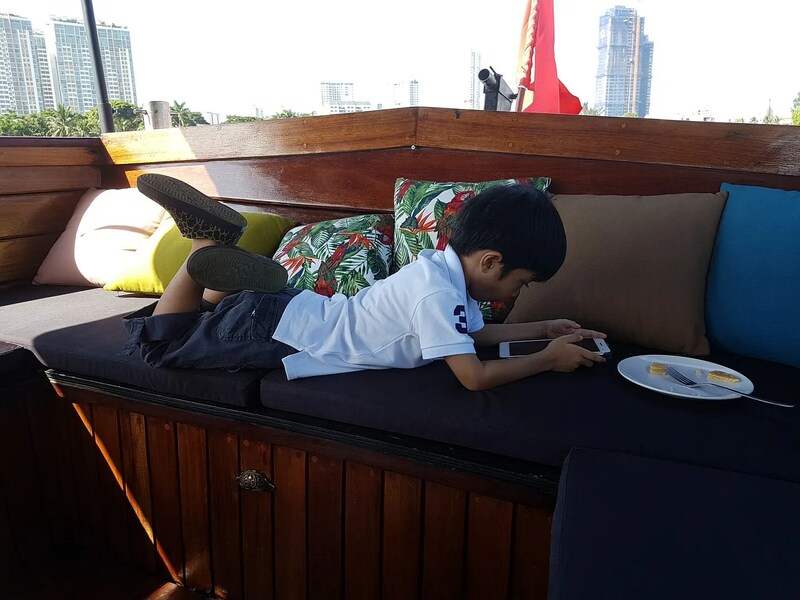 While my husband and I were stuffing ourselves, Sam was learning how to steer the boat and my youngest was lazing around. He was that comfortable on the boat. Ngan gave us a short lecture on the geography of Saigon and where we were headed. 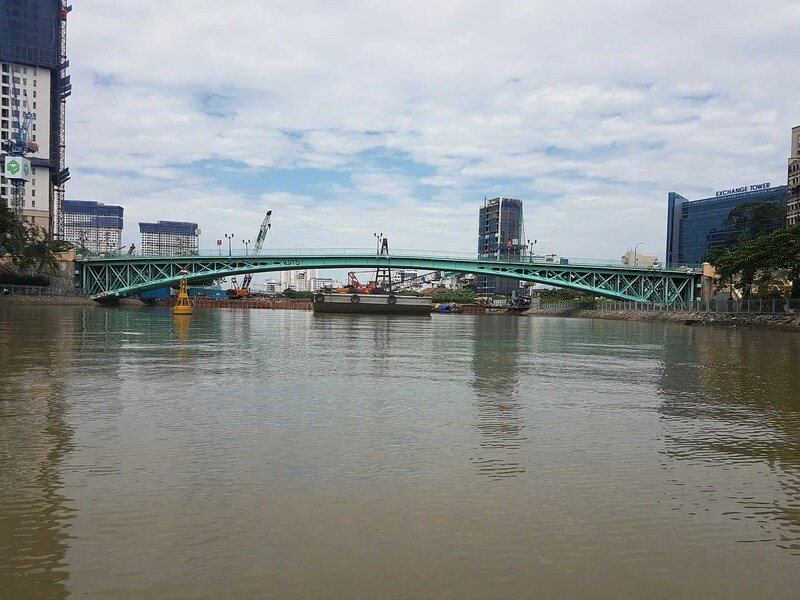 As it turned out, we were going round Thanh Da Island — which is still very much part of Ho Chi Minh City. It’s a rural island right smack in the middle of HCMC. Tourism is alive in Thanh Da and it’s actually where tourist attractions like Binh Quoi is located. 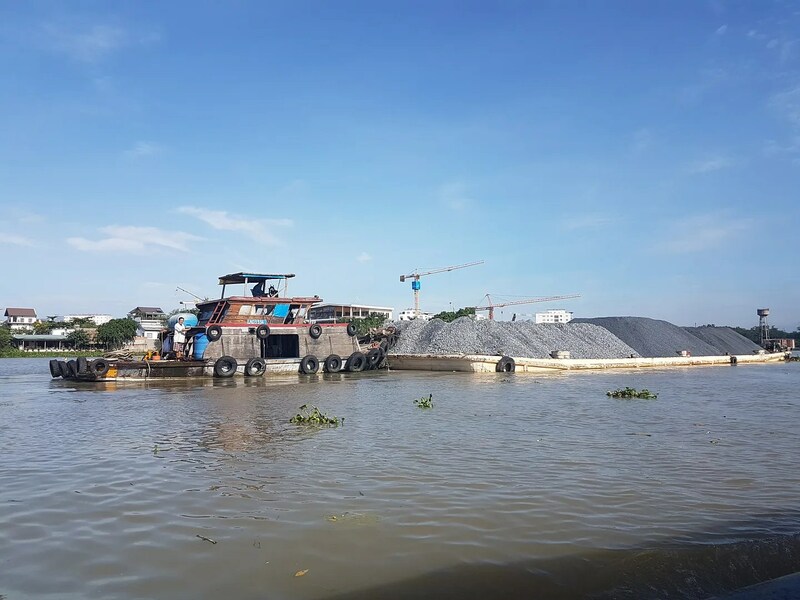 Lots of residents from Thanh Da worked at the mainland and they usually travel by ferry so they could bring their motorbikes with them. However, the ferry closes at 6pm. So when they get stuck in the mainland, they have to go around the island to get to the bridge. 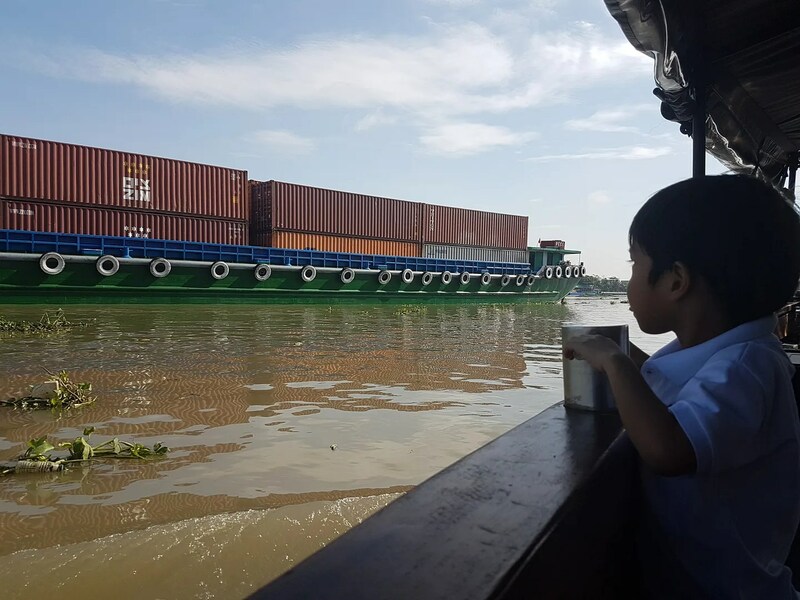 Saigon River is really bustling with life as boats go up and down to ship cargos, construction materials, and other products. We just had an amazing time watching the boats pass by and seeing the structures on either side. The weather was perfect and I was mentally patting myself on the back for choosing the breakfast tour. 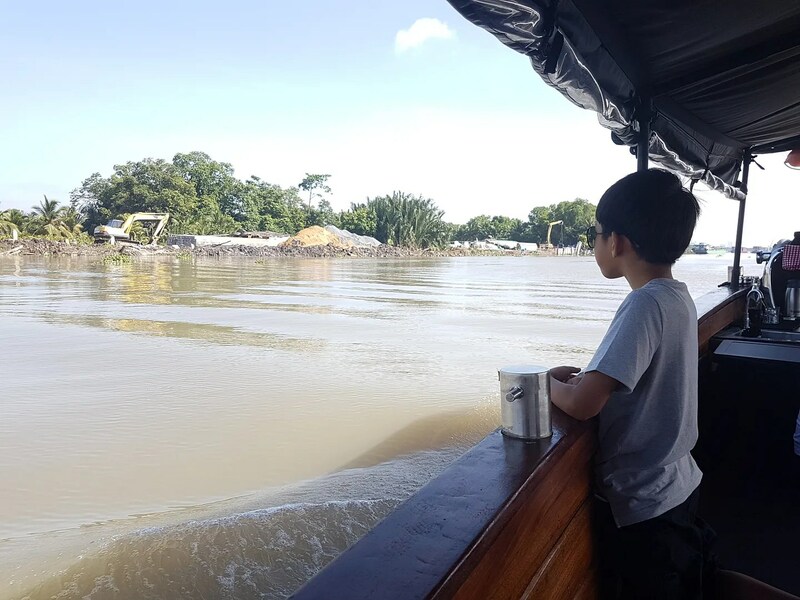 One of the reasons why we were not really that interested in doing river cruises is because we were not so sure about the water of the river. But now that we’ve done so, I am actually pretty amazed how “clean” the river is and that it doesn’t smell. We’ve actually seen lots of folks fishing beside the river. In fact, there are a lot of restaurants along District 2 that opens up right beside the river. 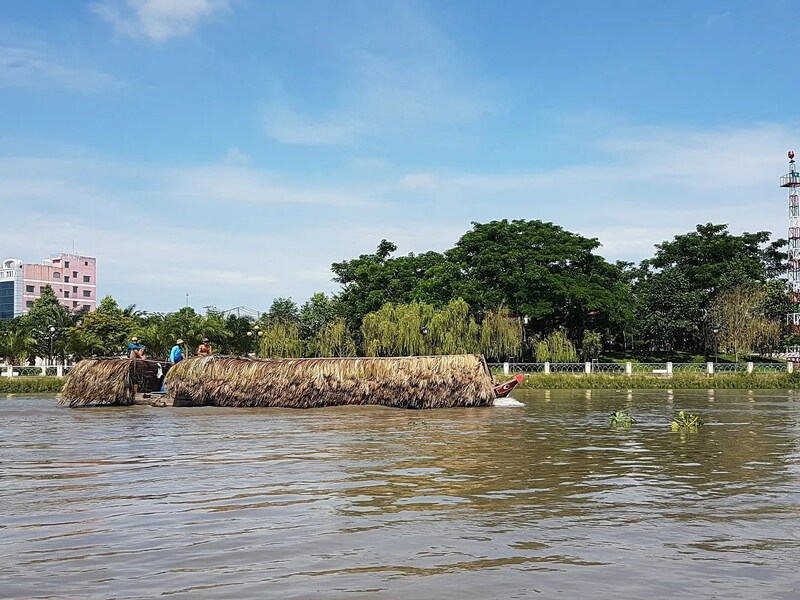 The only problem would be the water lilies (which actually get caught in the boat’s motor every now and then), but otherwise, the Saigon River is such a pleasure to cruise on. 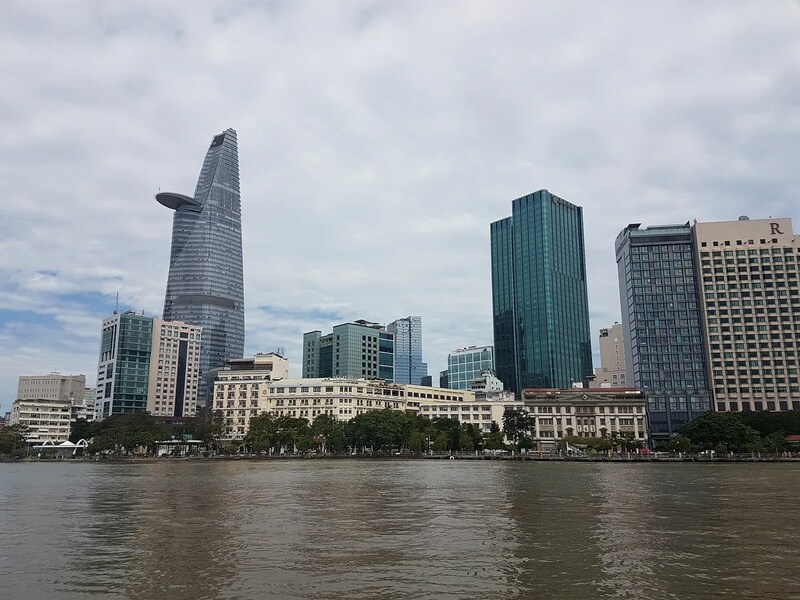 I can honestly say that I’d recommend Saigon River Cruise to tourists visiting Saigon. 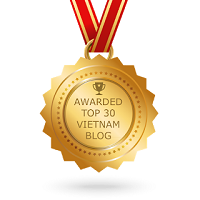 And am actually going to convince friends living in Saigon to take a trip too! Our trip ended at Mong Bridge just between District 1 and District 4. We got off on the District 4 side. I have to say that this trio, Mia, Ngan, and Bau, were just the perfect team for our trip. 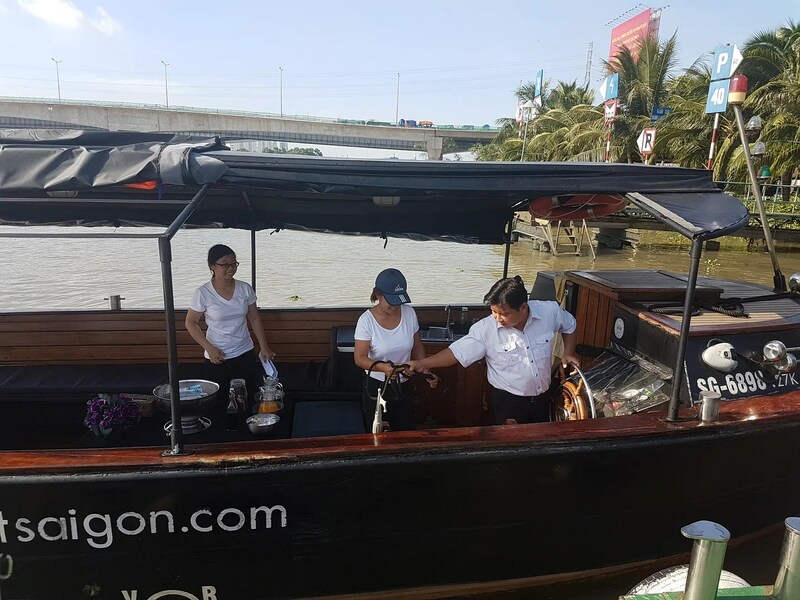 The Breakfast Tour is just one among the many tours offered by the Saigon Boat Company. They also do private charters — best for parties! Ngan shared that they’ve had 2 wedding proposals done on the boat! So romantic! 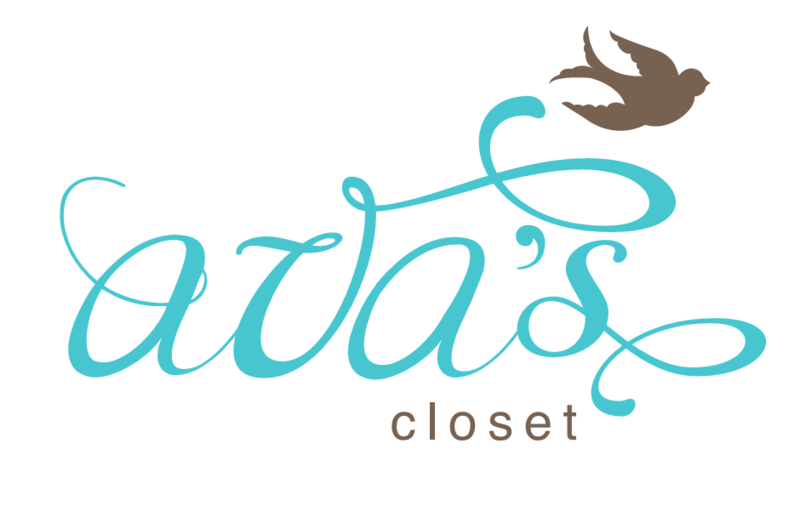 Do check out their website for more information. 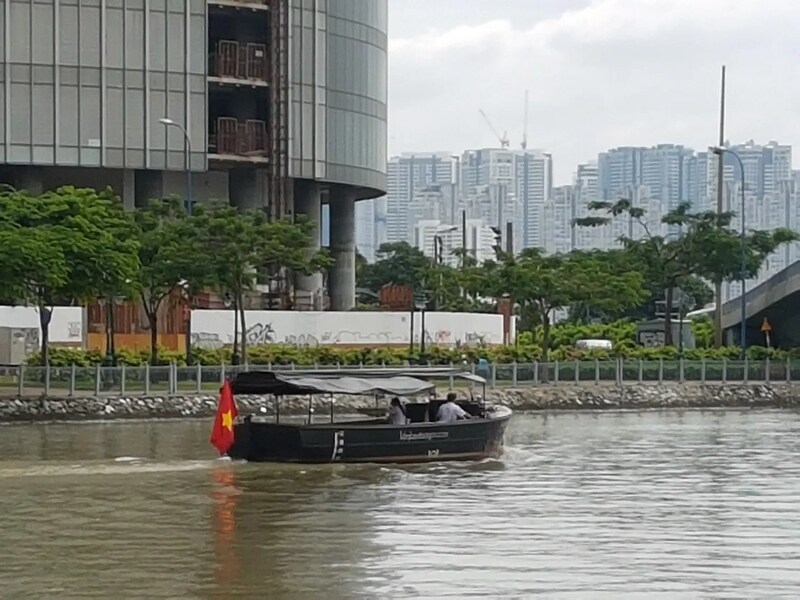 This entry was posted in Exploring Saigon, Sharing Saigon and tagged Ho Chi Minh City, Saigon, Saigon Boat Company, Saigon River, Vietnam. Bookmark the permalink.